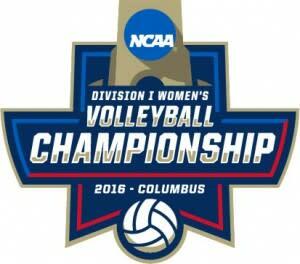 Only four teams have made it to Columbus for the NCAA Division I Women’s Volleyball Championship. The regional winners – Nebraska, Minnesota, Texas and Stanford – have advance to the national semifinals and championship co-hosted by the Ohio State University and the Greater Columbus Sports Commission at Nationwide Arena on December 15 and 17. Both national semifinal matches as well as the championship match will be broadcast by ESPN2. Listed below is a tentative schedule of events. The complete schedule will be sent out once the credential application is approved. Additional information regarding the NCAA Women’s Volleyball Championship will be emailed out as the event approaches. A press conference will be held at Nationwide Arena on Tuesday, December 13 from 2-3 p.m. Dignitaries from NCAA, the City of Columbus and Franklin County and national volleyball community will be on hand to discuss the championship and will be available for interviews. Video footage of the bowl will also be available afterwards. Pre-championship game press conferences will be held at Nationwide Arena on Wednesday, December 14 from 12:30-2:45 pm. The head coach and 2-3 student-athletes from all four teams will be made available for interviews. Teams will conduct open practices on Wednesday, December 14 from 10 a.m.- 4:25 p.m. on the main floor at Nationwide Arena. Semi-finals are set for 7 and 9:30 p.m. ET on Thursday, Dec. 15 on ESPN2. The national championship game will be played at 9 p.m. ET on Saturday, Dec. 17 on ESPN2. Limited tickets (all-session and single-session) remain for the NCAA Division I Women’s Volleyball Championship at www.NCAA.com/Volleyball, at the Nationwide Arena box office or by calling 800-745-3000. Columbus is in the running to set the all-time attendance record for the Championship with limited lower bowl seating remaining. A media hospitality lounge will be available for each of the post-match nights at the Hilton Downtown Columbus on December 15 from 10:00 p.m. – 2:00 a.m. and on December 17 from 11:00 p.m. – 2:00 a.m.